Welcome to Electro Freeze New England’s website. We cover Maine, Vermont, New Hampshire, Connecticut, Rhode Island and Massachusetts. 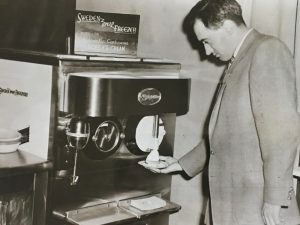 Our family has been in the frozen treat business since Eisenhower was President So we can bring to you our vast Commercial Soft Serve Machine and creemee equipment knowledge and experience. Are you looking you for an ice cream machine? Do join us in our test kitchen and showroom. There you will be able to Taste The Difference and compare Electro Freeze to other brands. 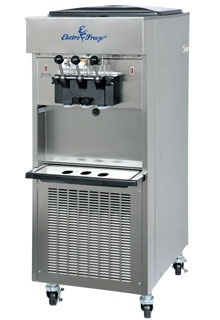 We have a big assortment of commercial soft serve ice cream machines and cree-mee equipment in stock. We look forward to seeing you on our next Free Ice Cream Seminar! 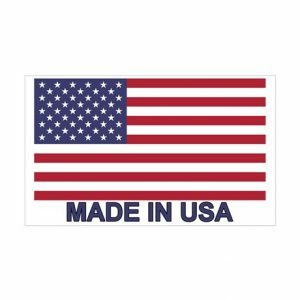 Electro Freeze equipment is manufactured in Illinois, USA. Who would have thought that a machine can change the taste of cream? 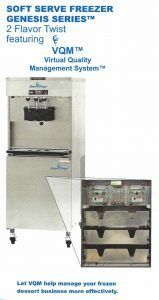 In addition to Electro Freeze, we are also the exclusive New England distributor for Wadden Systems. For the last 25 years Wadden is well known for a wide range of ice cream flavoring systems with top quality flavor extracts. 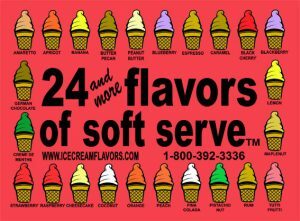 Why settle for vanilla, when you can serve 24 Flavors of Soft Serve. The 24 Flavor System, Delightful Dip System, Iceberg System and Swift Shake system are all manufactured in Iowa, USA. We are proud to introduce the new ice cream machine, which is changing the industry. Our family has more than 65 years of experience in the frozen treat market. Poppy took great pride in helping thousands of people transition from having a job, to owning their own store and being job creators. Let us know how we can help. Contact us! 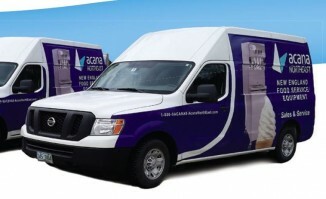 When it comes to services, you can bet that Acana Northeast has you covered. With a full range of Soft Serve Ice Cream, Frozen Yogurt and Slush equipment as well as our professional maintenance services, you will be ahead of the curve and on your way to opening your ice cream parlor or frozen yogurt shop through the best business model in the market. We can help you with everything you need from frozen yogurt shop business plan, ice cream store design, architectural layout of your ice cream parlor or frozen yogurt shop, leasing and monthly payment plans, to store opening, and everything in between and beyond. Thinking about Owning an Ice Cream Shop? Be ahead of the curve! Frozen yogurt & ice cream stores have long been a popular concept on the west coast, and the advent of easy-to-use, self-serve frozen yogurt machines has made this a fast growing trend here in New England. 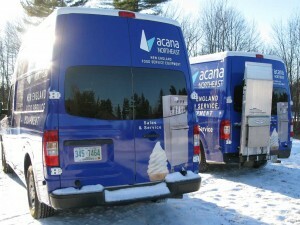 Acana Northeast is capable to guide you through all the steps to start-up your own frozen yogurt & ice cream business. 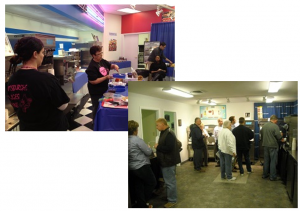 Acana Northeast equipment and expertise are also excellent Ice Cream Shop or Parlor franchise opportunities. We are here for the long haul. 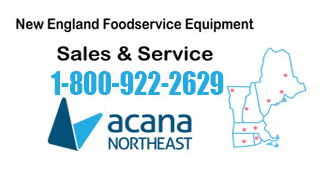 Rest assured that Acana Northeast will be here when you want us. With experts available in yogurt shop design and ice cream parlor layout, financing, equipment selection, architectural services, leasing and maintenance service, you know that you have all the professional support you need to open or boost your Ice Cream and Frozen Yogurt parlor or store. We can assist with your needs in soft serve ice cream supplies, frozen yogurt supplies, toppings supplies, POS System, and everything ice cream parlor or frozen yogurt shop. 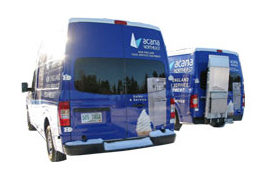 When it comes to services, you can bet that Acana Northeast has you covered. With a full range of equipment and our professional services, you will be ahead of the curve and on your way to opening your ice cream parlor or frozen yogurt shop. We can help you with everything you need from frozen yogurt shop business plan, ice cream store design, architectural layout of your ice cream parlor or frozen yogurt shop, leasing and monthly payment plans, to store opening, and everything in between and beyond. Our Best-in-the-Industry-Warranty is backed not only by our family's commitment to customer satisfaction but also by our dedicated team of factory-trained technicians in the field. Services are such an important part of our job at Acana Northeast that we have developed our "Acana Can!" service program. Sell 24 different ice cream flavors in your shop or parlor! 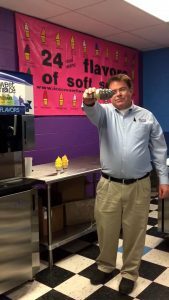 The Flavor Shop uses flavor extracts to flavor soft ice cream & frozen yogurt; It offers a tremendous variety to your customers. No need to have 24 soft ice cream machines when one will do the job. Reduce your investment, reduce your space requirements and maximize your profits. 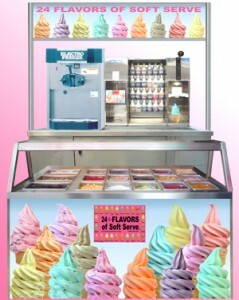 Introducing Fuzionate 9 Flavor Soft Serve machine! Nine flavors, One machine: Less space, Great taste!